In 1927, as rains swell the Mississippi, the river threatens to burst its banks and engulf everything in its path, including the tiny hamlet of Hobnob, where federal agents Ted Ingersoll and Ham Johnson arrive to investigate the disappearance of two fellow agents--and find a baby boy abandoned in the middle of a crime scene. 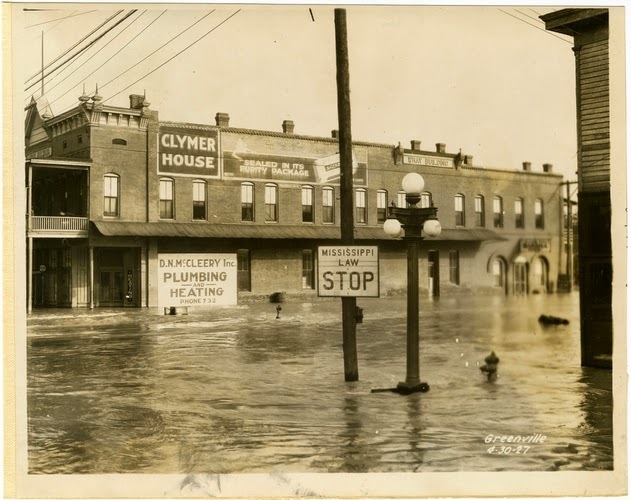 Have you heard of the Mississippi flood of 1927? As a pretty big history buff I'm ashamed to say that it wasn't something I knew about. After reading The Tilted World that has certainly changed. Also, this book is set during one of the most compelling times in America's history: prohibition. The setting and the storms become just as important as the characters and the story in this novel by the husband and wife team of Franklin and Fennelly. They've done a fantastic job of bringing multiple elements together to form a cohesive whole. Dixie Clay is a realistically written female in that she is like every female I know. She's strong and self-sufficient and doesn't need a man to complete her. The fact that she might find a partner to complement her is a plus, but I definitely wouldn't slap a romance sticker on this novel. The other characters are just as interesting but you'll have to read the book to find out more about the moonshiners, the saboteurs, and the team of federal agents that visit Hobnob, Mississippi. 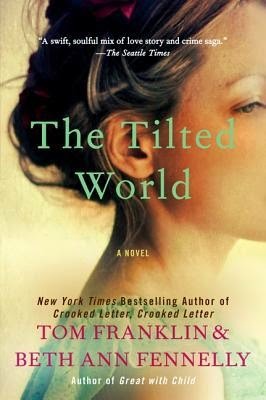 The Tilted World is a remarkable story set in a remarkable time. I highly recommend it. Tom Franklin is the award-winning and New York Timesbestselling author of Crooked Letter, Crooked Letter, which was nominated for nine awards and won the Los Angeles Times Book Prize and the prestigious Crime Writers’ Association’s Gold Dagger Award. His previous works include Poachers, whose title story won the Edgar Award, as well as Hell at the Breech and Smonk. The winner of a 2001 Guggenheim Fellowship, he teaches in the University of Mississippi’s MFA program. Beth Ann Fennelly has won grants from the National Endowment for the Arts and United States Artists, as well as a Fulbright grant to travel to Brazil. Her honors include the Kenyon Review Prize and three inclusions in The Best American Poetry. She has published three volumes of poetry as well as a work of nonfiction, Great with Child. She directs the University of Mississippi’s MFA program, where she was named the 2011 Outstanding Teacher of the Year. 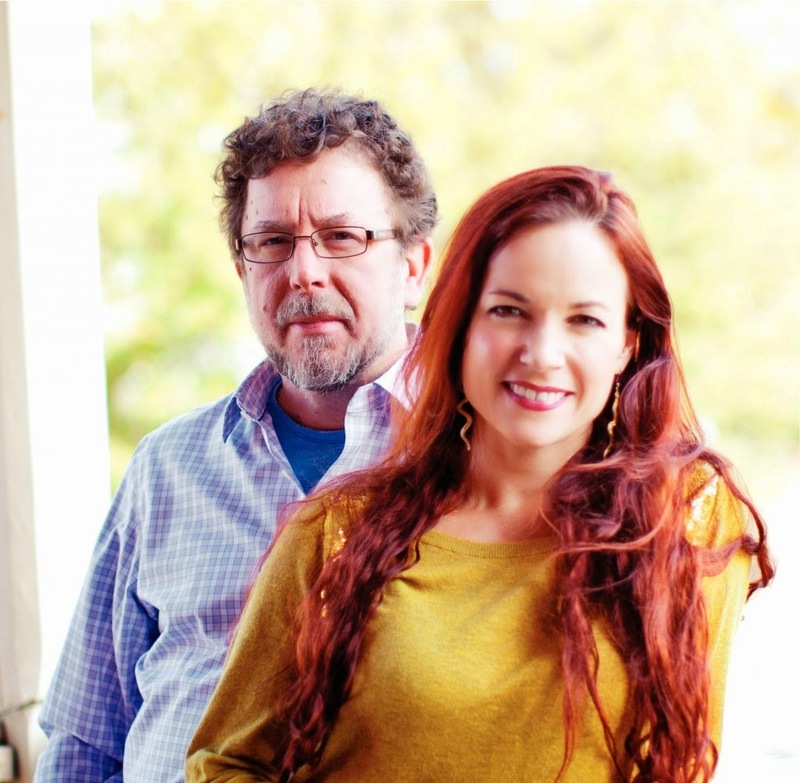 Beth Ann and Tom live in Oxford, Mississippi, with their three children. You don't have to take my word for it. Be sure to check out what others had to say about The Tilted World by visiting the rest of the tour stops. I hadn't heard of this book but I will say that I love books set during this time period and I think the cover is really beautiful. Sounds like one I would certainly give a shot. Thanks for sharing it! I missed it when it was first released. I'm really glad I was able to jump on this tour for the paperback release. I hope you give it a whirl, Asheley! This book sounds interesting! As for the 1927 flood, I highly recommend that you read John Barry's "Rising Tide." It's one of the first books my husband (from Mississippi) recommended to me. It's great. I'm going to look that up right now! Thanks for the rec! Ah, the magic time period for books. The Roaring 20s...the Jazz Age...The Great Gatsby totally sells me on all other books set in the same decade! I'm a history buff as well but had never heard of this flood until this book came out. It looks SO good - I can't wait to read it! I had not heard about that flood, but this sounds like a great read. The prohibition era is an interesting one as well. I just picked this up at my local library. I really enjoyed Ann Weisgarber's "The Promise" and wanted to read more historical fiction set around natural disasters. I really, really liked The Promise as well! I'm sure you'll like this one too. This sounds good! I enjoy character-driven historical fiction, and I might add this to my wishlist. I think you should add it to your list, Irene. I don't think you'll be disappointed! Lovely review, Have heard very nice things about this book, and am intrigued by the history of the flood as a backdrop for the novel. I was very curious about the team writing - seems like it could present challenges - but it sounds like it worked for you! I admit to being nervous about the team writing! I don't know how in the world anyone makes that work, lol. Especially a husband and wife team, ha. It worked out very well in this case! That happens to me way too often ;) I hope you'll get to this one! Girls who realize that don't need a significant other to be happy are some of my favorite characters :) Great review! Mine too :D Go girls, go!